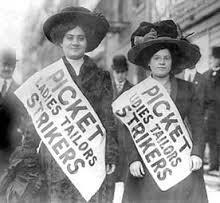 The Triangle Shirtwaist Factory fire took place 104 years ago this week. It inspired grief, outrage, the birth of a union, a host of labor laws and many books, including a brilliant novel called Triangle, by Katharine Weber. I wrote about the novel a year ago, and thought I’d share the blog post with you again during this anniversary week. 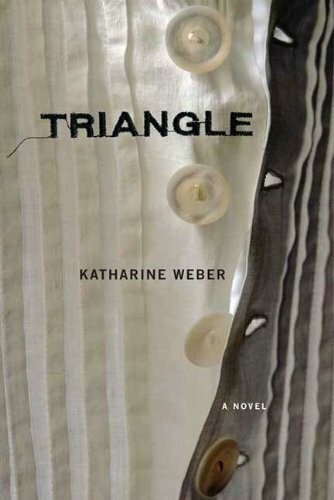 Triangle weaves together the stories of Esther Gottesfeld, the last living survivor of the Triangle Shirtwaist factory fire of 1911; her scientist granddaughter; and a feminist researcher who asks Esther to share her memories and then listens a bit too carefully. The novel is riveting and challenging, with complex characters. Weber deftly builds both the mystery at the heart of the novel and the tense drama of the Triangle inferno. Small details that at first seem to provide only texture to the story later loom with horrifying impact. The ending of the novel sent me racing back to the beginning with a new understanding – or at least new questions – about the plot. Triangle does not yield its insights easily, which makes it the best kind of book group selection, ripe for animated discussion. Who owns history? The person whose story you believe. The Triangle Shirtwaist fire was a predictable and preventable tragedy that killed 146 workers – mostly young immigrant women – at a clothing factory in New York. Dozens of the workers leaped to their deaths from the top floors of the blazing building, an image that anyone who lived through 9/11 can conjure all too easily. Even more people burned to death, many of them trapped behind locked doors in flaming workrooms. Others crawled onto rickety fire escapes that collapsed and sent them plunging to the sidewalk. More than 350,000 people marched in the streets of New York to mourn the garment workers. Outraged by their needless and excruciating deaths, factory workers organized and won many of the workplace safety laws we take for granted today. A year before the Triangle Shirtwaist fire, some 20,000 women who worked in garment factories had gone on strike to demand better wages, a shorter workweek (52 hours), and specific safety measures. These working class women, many of them Yiddish-speaking immigrants, drew the support of New York’s suffragists, some of whom were women from the city’s wealthiest families. The suffragists raised funds for the workers, bailed them out of jail, and organized mass rallies to generate public solidarity. Across the city, factories conceded to the workers’ demands, acknowledged the unions, and improved workplace safety. But not the Triangle Shirtwaist factory. The two owners – Max Blanck and Isaac Harris – refused to unionize and refused to address safety concerns, including workers’ calls to leave factory doors unlocked and provide functional fire escapes. A year later, these safety issues cost 146 people their lives. Yet they cost the factory owners nothing – in fact, the two men profited from the tragedy. While they settled lawsuits by paying family members $75 for each lost life, the owners received insurance settlements of $400 for each worker killed. 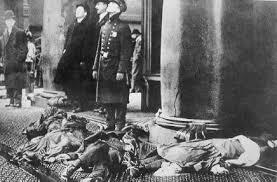 The two men went on to run other factories, accumulating and ignoring citations for the very safety violations that had led to the carnage at the Triangle Shirtwaist factory. The lessons of the Triangle Shirtwaist Factory fire – both learned and unlearned – continue to haunt us today. A powerful novel like Triangle takes you into that world, and part of you is likely to remain there for a long, long time. I love both of these too. The idea that history depends on the storyteller is one the novel “Triangle” explores. I love novels like this, that help bring a human face to an historical event most people probably only dimly remember hearing about from high school history class. And I love the idea that the person who owns history is the person whose story you believe.